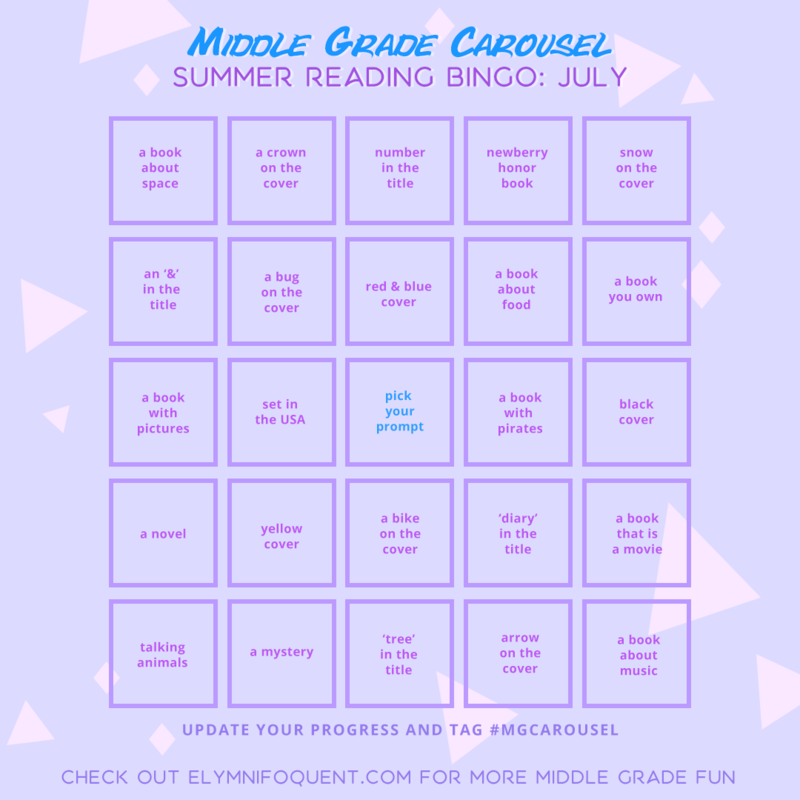 June is over, and I managed to squeak in a BINGO! With a total of nine categories filled out on the board, I’m feeling pretty good about the dent in my summer reading pile. 💛 = I REALLY liked it. 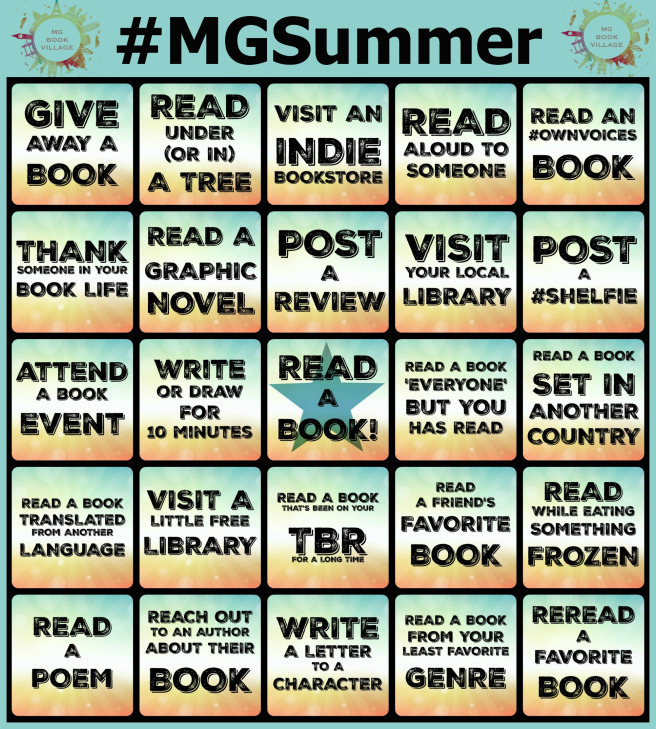 In addition to participating in Camp NaNoWriMo, I hope to make some progress on my summer reading with the July edition of Middle Grade Carousel’s Bingo challenge, and maybe cross off a few of the categories on the #MGSummer Bingo challenge from MG Book Village. Question of the Day: What’s up next on your Summer Reading pile? Awesome, I’ll go check yours out next. And I’m happy to hear you’ll be joining us again in July, too!